Our deli meat slicer is perfect for slicing deli meats or vegetables swift and efficiently. 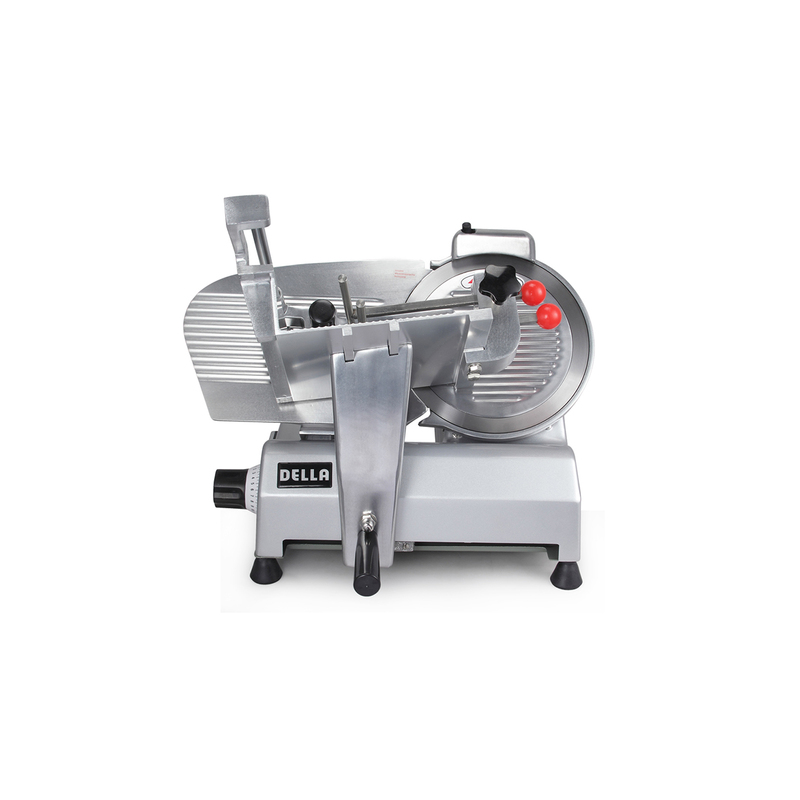 This slicer pays for itself by allowing you to buy deli meats in bulk, slicing it when needed and then freezing the rest which reduces waste and maximizes value. 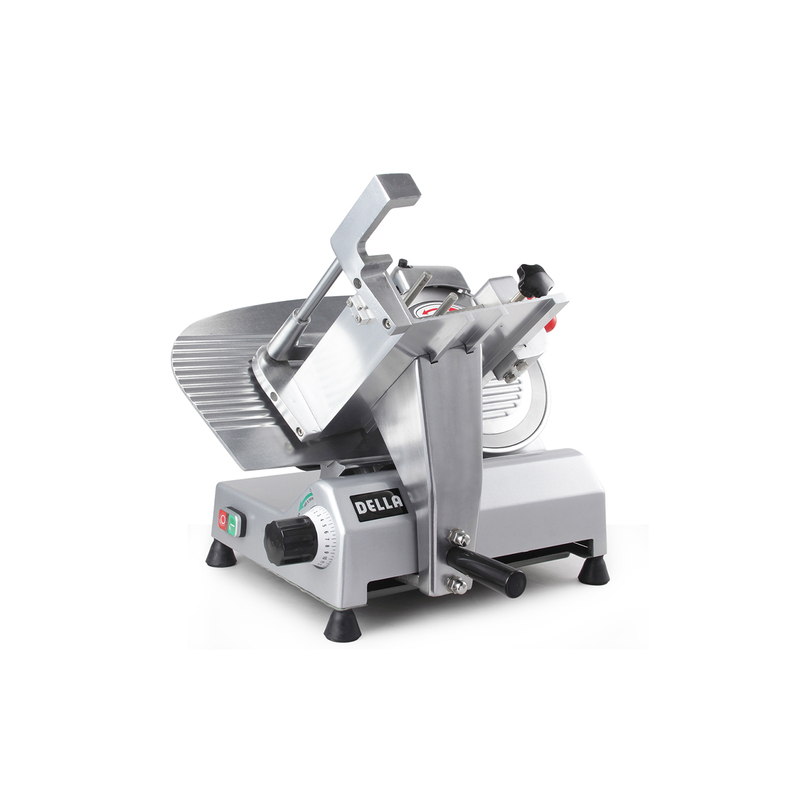 The 10″ inch blade easily slices through frozen meat up to a maximum thickness of 5/8″. 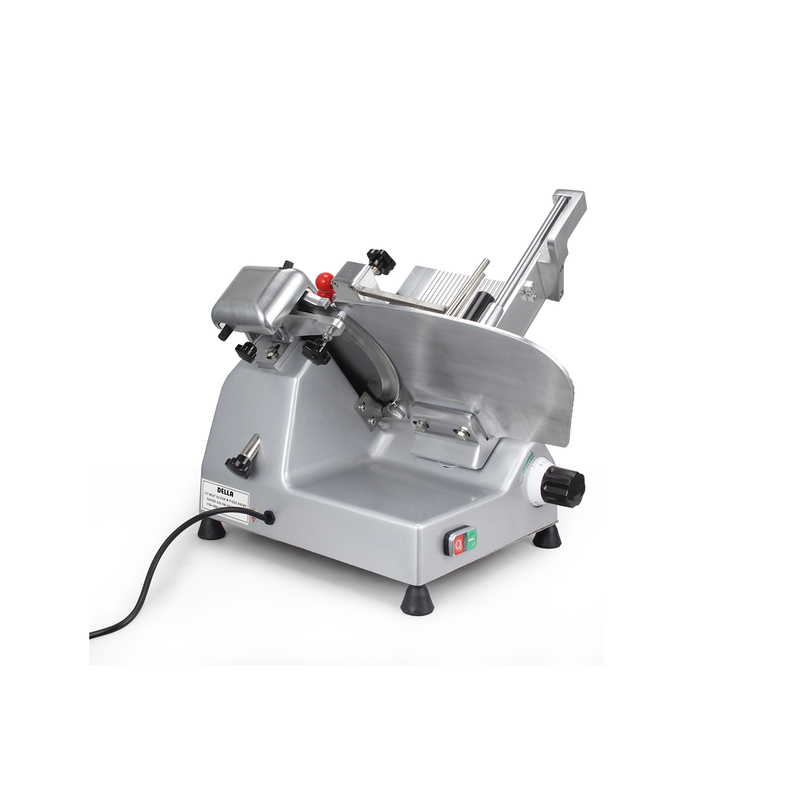 Sliding meat carriage ensures perfect cuts every time and keeps the users hands away from the blade for utmost safety.